The 19th International Habano Cigar Festival will take place February 27 to March 3rd in Havana with a large program of activities combining the knowledge about Habano cigars and the enjoyment by participants of the latest and exquisite products. According to the event´s organizing committee, cigar brands such as H. Upmann and Montecristo are among the protagonists in the festival with new shapes. As usual the program includes visits to tobacco-leaf plantations in the eastern Cuban region of Vuelta Abajo, considered the cradle of Cuban cigars; tours of famous cigar factories; lectures and practical sessions; marriages, and the Habanasommelier International Contest. The Festival will close doors on March 3 with a traditional auction of humidors. The humidor auction held during the 18th Habano Festival last year contributed 865 thousand Euros, which were donated to the Cuban Health System. 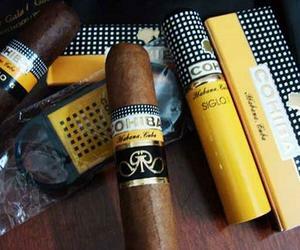 High in the auction of seven humidors on that occasion was a humidor of the Cohiba special and exclusive series on the 50 anniversary of that cigar brand, which was sold at 320 thousand Euros. Thousands of cigar lovers from dozens of countries come to the Festival to have a first-hand look at the cigar launches, and to learn from the tobacco-leaf cultivation culture and the hand-rolling of the exclusive Cuban product.